My family and I love to eat. In the spirit of the Food Network show by the same name, we’re going to share the best thing we ever ate and hope that you will tell us your favorites too. Today we are sharing the best popsicles that we ever ate: King of Pops. We had seen the mural at Buddy’s gas station. Intriguing. 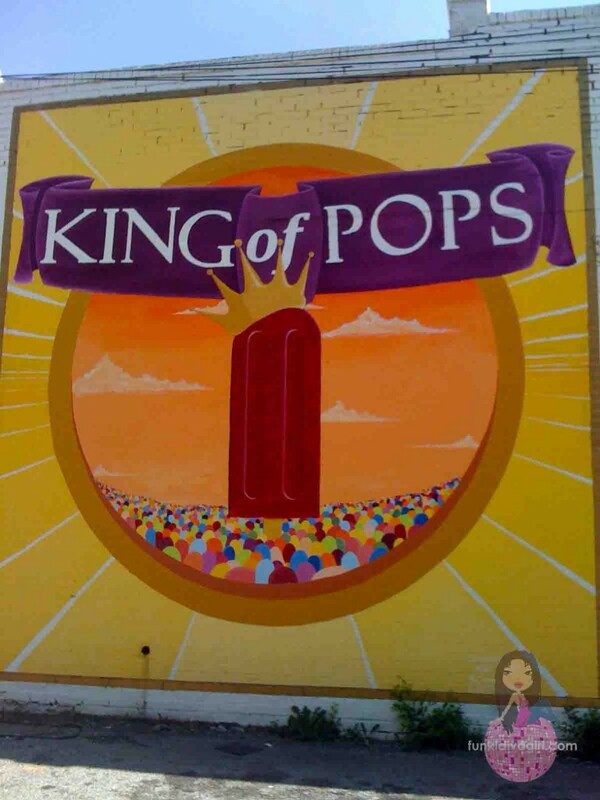 “King of Pops“…what could that mean? Popsicles? Here at the gas station? Last month the King of Pops cart arrived on the corner of North and Highland Avenues, just in time for Atlanta’s infamous Spring heatwave. I had read the tweets and heard the tasty news from friends, but could never seem to be near that corner when he was in operation. Finally the other day, on my husband’s birthday, my family drove by the corner just after Steven had arrived. Perfect! Except for Yoforia, my family feels that Atlanta is deficit in good frozen treats, so we were excited for the possibility of a new place to fill our cold cravings. After much discussion we decided to try four different flavors: Grapefruit Mint, Blackberry Lemonade, Watermelon Orange and Strawberry Lemongrass. Muscadine and Chocolate Sea Salt were also available flavors that day. Steven Carse is King of Pops. 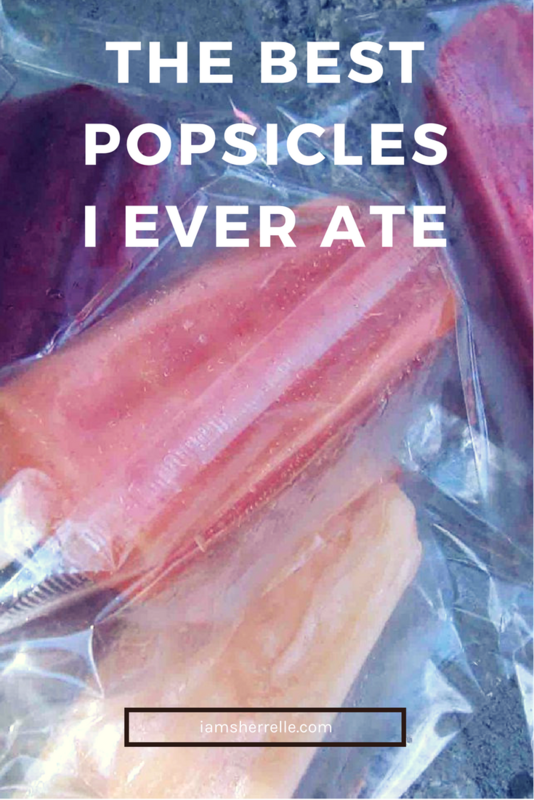 The flavors of each popsicle were distinct and pure. I tasted both the blackberry and the lemonade in my popsicle. 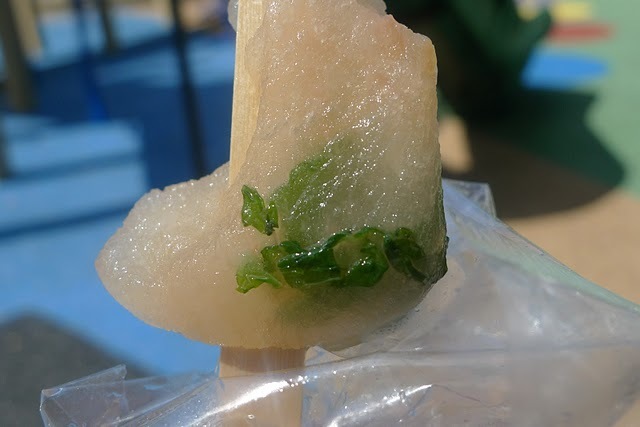 My husband’s popsicle, Grapefruit Mint, was a great combination; the grapefruit was tart and the mint was refreshing. There were whole mint leaves in there! 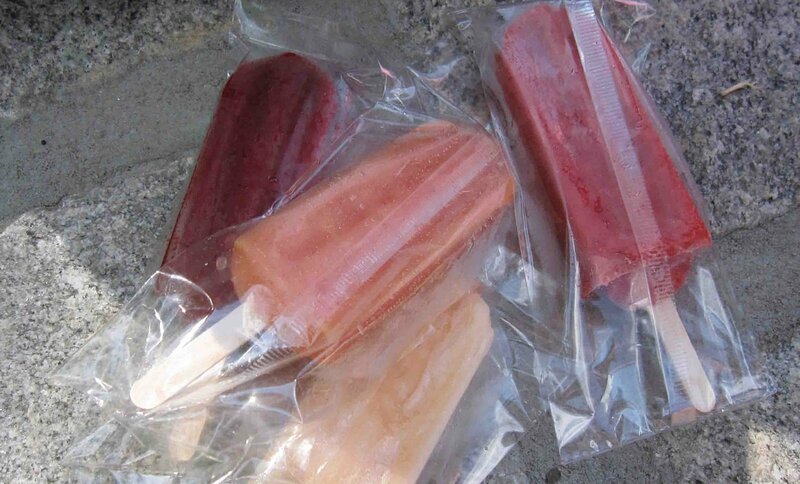 The whole family was in agreement that these were the best popsicles that we ever ate. The neighborhood ice cream truck doesn’t stand a chance. Steven uses Twitter to update his inventory, which is helpful because there is nothing worse than getting your mouth fixed on something and then arriving to find that it is all gone. On nice days the cart is out in the late afternoon through early evening. Yup, I’m certain that King of Pops is going to be our summer obsession. 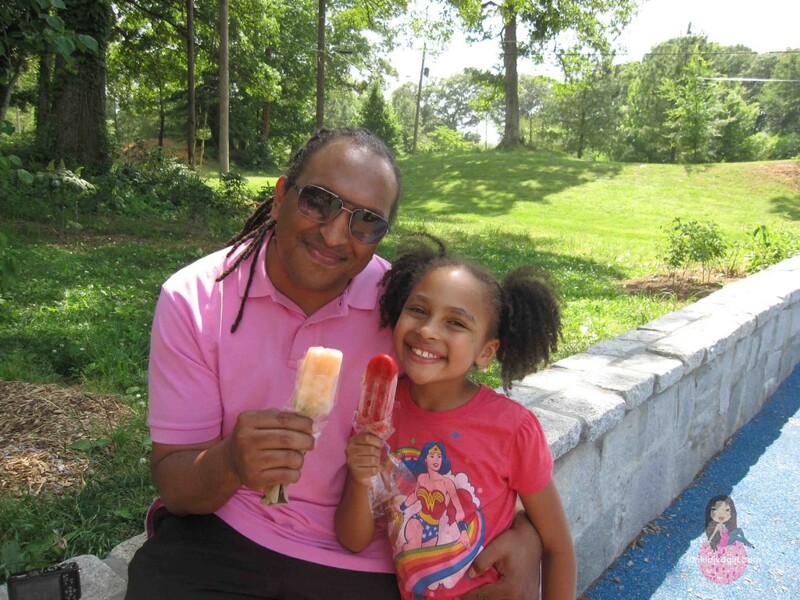 Check out my son’s review of King of Pops on Atlanta INTown’s What’s Good. Update: since our first visit to King of Pops we’ve also had Cantaloupe Basil (mm…savory), Pineapple Ginger (refreshing! ), Chocolate Sea Salt (creamy), Banana Pudding (tastes just like the dessert), Tropical Surprise (mango, papaya, orange juice), Banana Cinnamon (almost as good as Banana Pudding), Strawberry Pineapple (fresh strawberries), Peaches & Cream, Mexican Chocolate (spicy & creamy), Pineapple Habenero (ai yai yai!) and White Chocolate With Raspberry On Top (no words necessary). 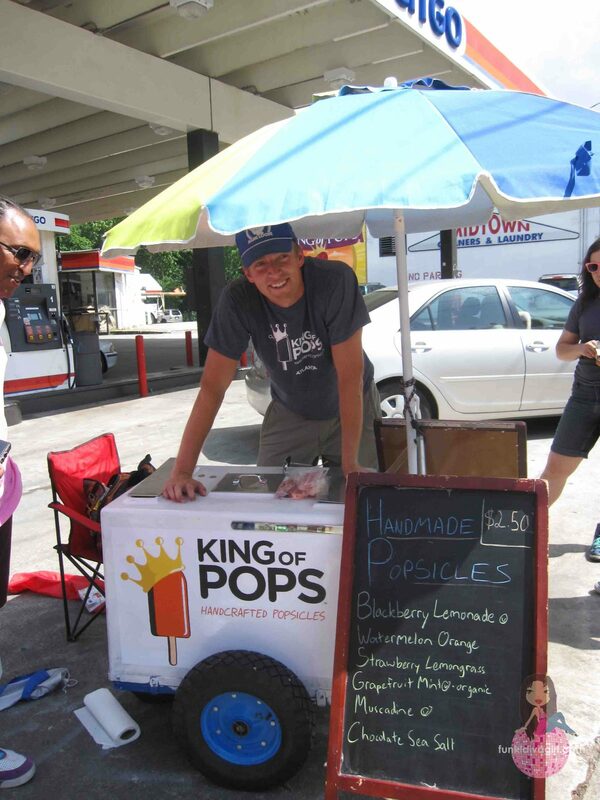 Update: King of Pops now has a walk-up window at their factory on Elizabeth Street and a booth at Ponce City Market. We totally need a King of Pops in Tucson. I mean, really? Tucson. Desert. Hello? Why has someone not thought of gourmet pops here? Because you can tell those things are awesome just by looking at them. .-= Darcie – Such The Spot´s last blog ..Age Appropriate Chores =-. Yeah Darcie, they are TOO good. I’m going to have a problem this summer. I drive by the cart at least a few times a week. ..heard about the KOP and will definitely seek out. I heard about Pinkberry and really wondered why they chose that spot. Not that there’s anything wrong with Cumberland area, but seems odd for a first store in Atlanta. Let me know what you think about King Of Pops! These look absolutely ridiculously good. I will have to try to find him (or someone similar) on the east side of town. .-= K. Rock´s last blog ..Let the Injera Get Near Ya =-. Ohhh… this looks SO good! I must check it out! .-= StuMcDnld´s last blog ..In The Midst Of “I Don’t Know” =-.